Live Life Elevated with the Greatest Snow on Earth. 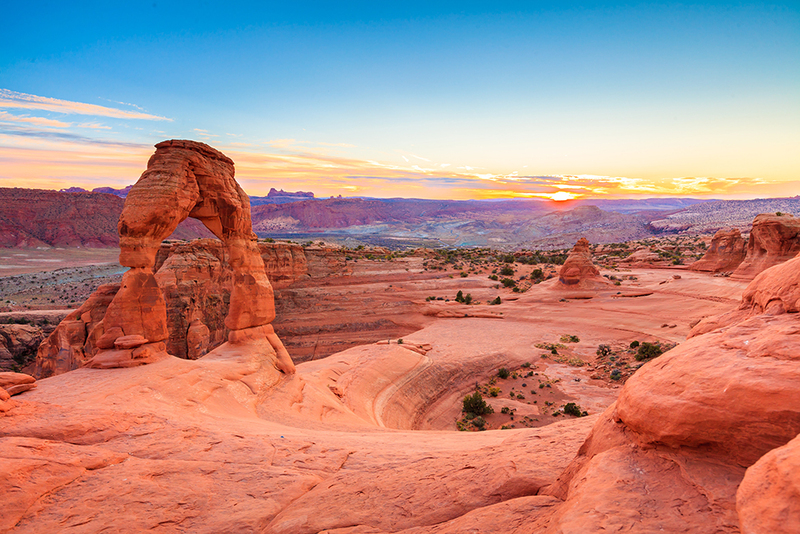 Home to five national parks, picturesque scenery, a culturally diverse landscape, and year-round recreational activities, it's no wonder the state of Utah is a popular destination to travel to and live in. The 45th state is currently the 31st most populous in the nation with almost three million people residing here. In 2012, Utah ranked fourth in overall well-being in the nation, and this trend has continued. Utah is a culturally diverse state, and there is a large LDS Mormon community, and Utah is thought of as being a haven for the LGBT community and their supporters. People move to Utah for the excellent education opportunities such as Brigman Young University and the University of Utah. Additionally, in a 2017 study, Utah was ranked as the ninth safest state in the nation, and this makes it an excellent place to move and raise your family. Utah's economy ranked as the highest in the nation for the best economic growth in 2013 and 2014. There are two primary reasons people move out of Utah, and they were highlighted in a 2017 survey. Residents were concerned about the air quality due to the rapidly expanding population, and low wages. Utah's real estate market is on fire, and this is driving home costs up at a rapid rate. Over the last five years, the median housing prices shot up from $190,000 to $280,000, and this is higher than before the housing market crashed. Before the housing market crash, Utah's median home price was right around $250,000. Since the early 2000s, Utah's real estate market had steady increases each year until they peaked in 2007. Once the housing crisis hit, housing prices in Utah began to fall, bottoming out in 2012. They began to recover, and currently, Utah's supply in demand is driving their housing prices up past where they were at their peak in 2007-2008. A large part of the skyrocketing real estate prices is an influx of Millennials moving to Utah and purchasing a property. A study showed that Utah as the second-highest level of home ownership by the Millennial generation in the nation, and in 2016 Utah was as one of the top places in the country where young people are moving to due to the excellent economic outlook. Homeownership rate across the state have remained above 68% every year since 1984. From the period of 1990 to the start of 1999, Utah saw a steady increase in home ownership with a slight decline in late 1999 and early 2000. It recovered and kept steadily increasing until late 2004. The number of people purchasing homes at the end of 2004 to early 2005 saw the beginning of a steep increase in more and more people purchasing homes. This increase of people purchasing homes peaked at the end of 2007 and early 2008; then housing prices began to fall. Housing prices hit bottom in 2011, and it showed a steady increase until 2013 when housing prices began to skyrocket again. Currently, the real estate market is in high demand. Utah's largest city, Salt Lake City saw a similar pattern both pre and post housing crash. In late 2007, Salt Lake City reached its peak levels for home ownership before the housing prices began to decline. There was a brief period in 2010 when the number of people purchasing homes increased, but that fell again until it hit bottom in 2011. Since 2011, there has been a steady increase until 2015 when the market began to increase rapidly. Currently, Salt Lake City has a very hot real estate market. Despite this hot real estate market, the cost of living is also rising in Utah. When you combine this with the higher cost of real estate and the lower wages, it makes sense that residents are working harder to sustain themselves. With housing prices skyrocketing, this also makes rent costs rise as well as more people are forced to rent until they can buy. All of these factors contribute to the higher cost of living Utah is experiencing. First, median home values tend to be higher in higher income cities such as Draper and Salt Lake City because residents who live here tend to have lower income demand elasticties for well-built homes in nicely situated areas. This is the case because most residents in these cities can afford to pay higher prices for nice homes. This has pushed the price prices in communities in resort towns like Draper and Salt Lake City well above the national average median price. On the other hand, blue collar communities such as Logan and Ogden tend to have lower than average median home prices. This is the case because residents tend to have lower per-capita incomes and a lower cost of living than their higher priced counterparts. Utah has several gorgeous cities, and the majority of the population is spread over the Salt Lake Basin. We'll talk about several of the largest cities and their suburbs, along with their demographics and the median housing costs. Many of Utah's most populated cities are holy places for the Mormon Church. Utah is one of the Mormon Church's cultural and spiritual bases. As a result, two of Utah's biggest cities are important symbols for people of the Mormon faith. These cities are Salt Lake City and Provo. Furthermore, much of the state is rural and Utah's most populated cities also tend to suburbs of Salt Lake City. Two of Utah's most populated cities are suburbs of Salt Lake City. West Valley City and West Jordan are located within 30 minutes of Salt Lake City. These cities have also enjoyed growth as newcomers from Salt Lake City and the surrounding area have taken advantage of lower taxes and lower home prices. 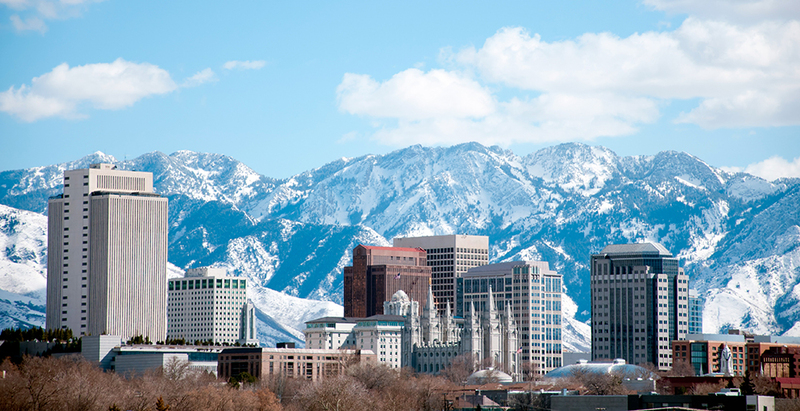 Salt Lake City is the capital of the state of Utah and the most populous city in the state with 197,344 residents. Salt Lake City sits in Salt Lake County, and this metropolitan area has a population of 1,170,270 as of 2014. This city has one of the youngest populations in the nation, with the average person being just over 27 years old. With its multitude of outdoor and recreational activities, along with the large festivals that take place here every year, it's easy to see why this city draws younger residents. Many people of the Mormon faith have moved to Salt Lake City to take advantage of the social resources that are available there. Salt Lake City has a very strong economy with job growth predicted to rise over 40% in the next ten years, at a rate of just over 2% per year. There is a median household income of $45,833, and the total income per capita is $28,428 annually. The unemployment rate is also below the national average, and it is projected to drop even further in the coming decade. This city has a semi-arid climate that is characterized by long, hot summers and cold, snowy winters. During the winter, Salt Lake City sees around 60 inches of snow each year from November until the middle of April. In mid-winter, strong areas of high-pressure systems sit over the basin, and this can cause some of the worst smog and air pollution in the nation. During the summer, the temperature fluctuates between 90 degrees Fahrenheit and mid-50s. There are dozens of attractions to see in this city, and the festivals draw thousands of people each year. The Sundance Film Festival had over 46,000 attendees in 2016, making it the largest independent film festival in the nation. In 2002, Salt Lake City hosted the Olympics, and today the Olympic Stadium is open to public tours. 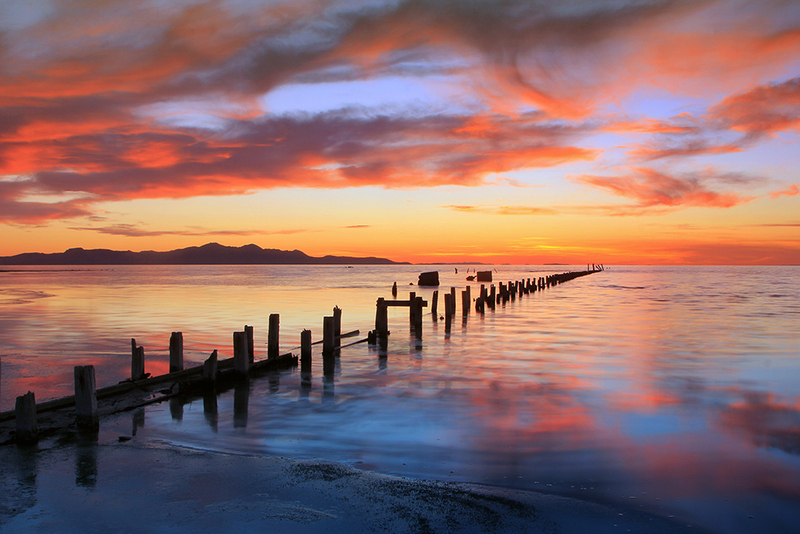 Finally, you can visit the Great Salt Lake which is two to five times saltier than the oceans, and there are year-round recreational activities to enjoy as well. Pro basketball fans can watch Jazz games downtown. If you want access to top-rated colleges and universities, Salt Lake City has some of the top-ranked schools in the nation. Brigman Young University has an educational center in the city, and The Art Institute of Salt Lake City is located here. There are also several smaller community colleges for technical degrees for students to attend. One of the biggest employers in Salt Lake City is Intermountain Healthcare Medical Center with over 1,400 employees. Additionally, tech giant Adobe opened its doors in 2012 and it currently employs 1,260 people. There are also dozens of people employed at the county level, and there are several other hospitals in the city with large employee rosters. Salt Lake City has a median home price of $292,000, and this is an 8.15% increase over the past year. Home prices are predicted to rise another 2% in the coming year. The average price per square foot for a home in this city is $261, and this is a higher price than the Salt Lake City Metro's price of $184 per square foot. Finally, the median rent price in this city is $1,595 with the metro area's median rent levels being $1,525. West Valley City is a suburb of Salt Lake City, and it had a population of 133,000 people as of 2013 & 136,574 people in 2016. This population makes it the second-largest city in the state of Utah. This city's population continues to grow, and the economy is strong. There are several companies that are based in West Valley City, and they contribute to the rising population. The companies Backcountry and CR England are located here. The median home price is $222,4920, with the price per square foot being $173. This is a growth of 9.6% over the past year, and there is a projected growth of 2.8% in the coming year. Additionally, the median rent for this city is right around $1,450, and all of these numbers are below the Salt Lake Metro area totals. As a suburb of Salt Lake City, West Valley City is taking advantage of rapid growth along the western and southwestern ends of the Salt Lake Valley region. This growth has been made possible due to a lower cost of living and a younger work force who is taking advantage of growth in the technology industry. The city of West Jordan is also a suburb of Salt Lake City, and it has a population of 113,699 people. This is a rapidly growing suburb with a strong economy, and it is the fourth most populous city in Utah. The city is dominated by four large retail centers and Jordan Landing was named one of the largest mixed-retail developments in the western part of the nation that brings in over $500,000 in annual revenue. The Mountain American Credit Union and the Jordan School District are also large employers. The median home price in this city is $231,600, and the price per square foot is $165. The real estate market in this area is hot, and it has risen 6.6% in the past year with a projected rise of 2.8% in the next year. Despite this, the average price per foot is still lower than the Salt Lake City Metro area. The city of Sandy is s suburb of Salt Lake City, and it has a population of 95,836 people. This population makes Sandy the sixth-largest city in the state of Utah. Sandy's economy is steady, and it got a boost in 2014 when the city council voted to redesign the downtown area into a resort-style city center called The Cairns over the next 25 years. The largest employers in the city are the Canyon School District, which is a district that was split off of the Jordan School District with over 4,000 employees, and the medical products manufacturer Becton Dickinson with over 1,000 employees. The median home price for Sandy is $304,000 with a median price per square foot at $189. This is a 6.5% increase over the past year with a projected 2.1% increase in the coming year. These prices put the Sandy area higher than the Salt Lake City Metro. The city of Orem is a larger suburb of Salt Lake City with a population of 97,499. Orem is part of the larger Provo-Orem Metropolitan area, and that has a population of 526,804 people. It is the fifth-largest city in Utah. This city has the slogan of ‘Family City USA,' and in 2010 Forbes ranked Orem as the fifth best city to raise a family in the nation. This ranking came, in part, to the youthful population you find in this city. It is an excellent place to live for spiritual well-being because of the high number of churches and church members, and there are excellent education opportunities ranging from sixteen elementary schools and three middle and high schools. The Utah Valley University is also located here, and it is one of the biggest employers with 1,520 employees. Other notable employers are the Alpine School District with 1,234 employees, and Adobe with 670 employees. The median home price is $212,600, and this is a growth of 6.1% over the past year, and the price per square foot is $184. While the home price is lower than in the Provo-Orem Metropolitan area as homes there are $302,627, the price per square foot is higher because the Metro's square foot prices are $166. Ogden has a population of 86,701 people, and this makes it the seventh largest city in Utah. This city is a very popular ski destination, and it has three premium ski resorts right around the city limits. There are also several museums and a few gorgeous historical attractions. Additionally, Ogden ranks as one of the best cities in the nation to raise a family. Ogden has a strong economy with a bright outlook. In the next decade, the current job market is projected to grow over 40%. The unemployment rate is around 5% and dropping as jobs are added each year. Ogden has a younger population, and the median annual income for this area is $40,000 with the per capita income just below $20,000 per year. The city has a dry summer continental climate that is characterized by very hot and dry summers. It isn't unnatural for highs to reach 95 degrees Fahrenheit or more during June, July, and August. 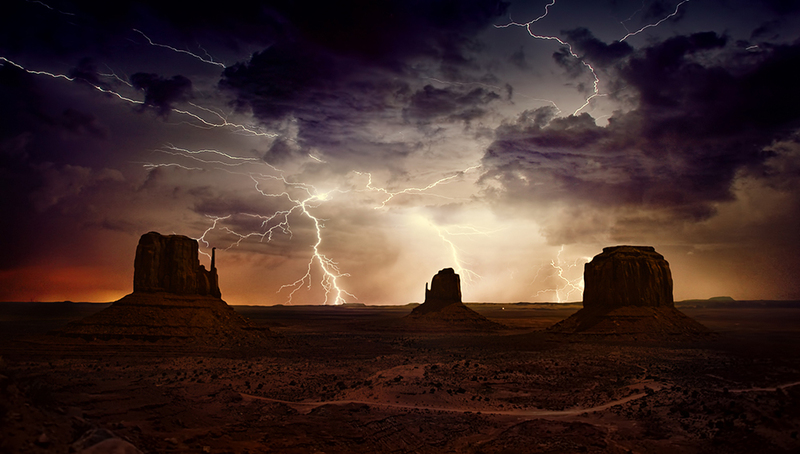 From July to September, the area sees a decent amount of rain in the form of thunderstorms. The winters are cool with moderate to heavy snowfall from October to April. There are three world-class ski resorts like ClubRec North just 20 minutes from the downtown area that provides the residents of this city with many winter recreational activities. The Historic 25th Street is lined with many shopping centers and boutiques, and there are several museums to visit. If you like trains, this city is a must see as it is home to the historic Union Station Railroad Museum. There are several educational opportunities located in and around this city. The DaVinci Academy of Science and Arts is a top-rated K-12 charter school that focuses on the sciences and arts. The Weber State University also calls this city home, and it offers professional, technical, and liberal arts certificates. There are several large employers in this city, and they are varied companies. The largest employer is the McKay-Dee Hospital Center with over 1,950 employees. The second-largest employer is the German-based automotive manufacturer Autoliv with around 1,550 employees. The housing market in Ogden has rapidly begun to climb, jumping 14.4% in the past year with a projected rise of 4.4% over the next year. Currently, the median home price is $250,000, with the average price per square foot being $101. This city is part of the Ogden Metro area, and the median home price there is $285,000 with the average price per square foot around $173. This city is the eighth most populous city in Utah with 82,318 people. This city was ranked as the fifth fastest-growing metropolitan area in the nation in 2015. 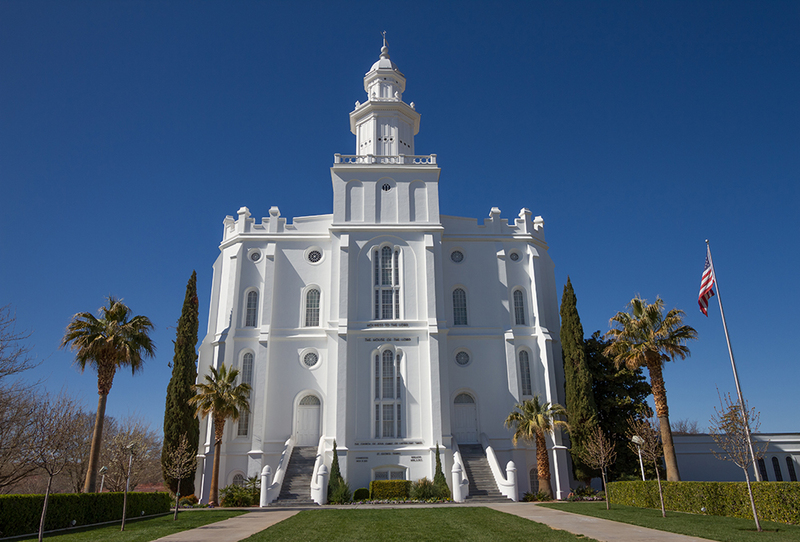 This city is home to the LDS's oldest operating temple in the world, the St. George Temple. Additionally, St. George is a very family-friendly city with dozens of attractions and museums that are family-oriented. There are also many hiking trails, parks, and outdoor recreational activities to do year round. 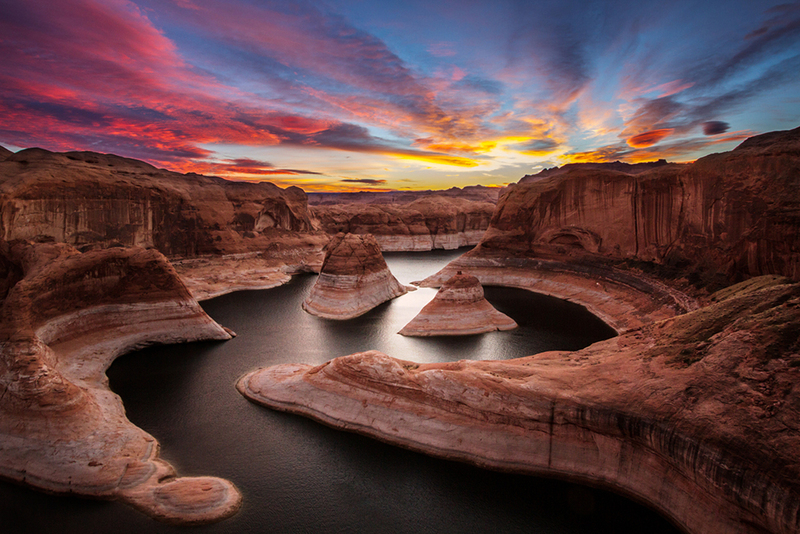 This city relies heavily on the tourism trade because Zion National Park, Grand Canyon National Park, and the Bryce Canyon National Park are very close by, and they draw thousands of tourists each year. When you combine these large tourist attractions with the family-friendly atmosphere, it's easy to see why this area is thriving. The climate of this area is classified as desert southwest, and it is significantly hotter than the rest of Utah. There are long hot summers and short cool winters. The months of June through September typically see average temperates rise to the upper 90s and lower 100s. November through March has average temperatures in the 60s with low to no snow amounts. There are also a few large employers that help to support the local economy. SkyWest Airlines has its headquarters in St. George, and it employs over 800 people. Additionally, retail giant Walmart has a distribution center just outside the city, and it employs over 400 people. The city council and the school districts in the area also play a large part in the city's employment numbers. There are several large universities and education centers located in this city, and there are also several K-12 schools to choose from. The Dixie State University is a four-year institution who has over 9,000 students enrolled. Also, the University of Phoenix and Stevens-Henager College have education centers in the city. The median home price in St. George is $220,800. This price represents an increase of 6.2% over the past year, and the most prices are projected to rise over the coming year by just over 3%. The median price per square foot in this city is $160, and this ties it in price per square foot with the St. George Metro area. The median rental rate in St. George is $1,300, and this is also lower than the St. George Metro area's median rent price of $1,341. 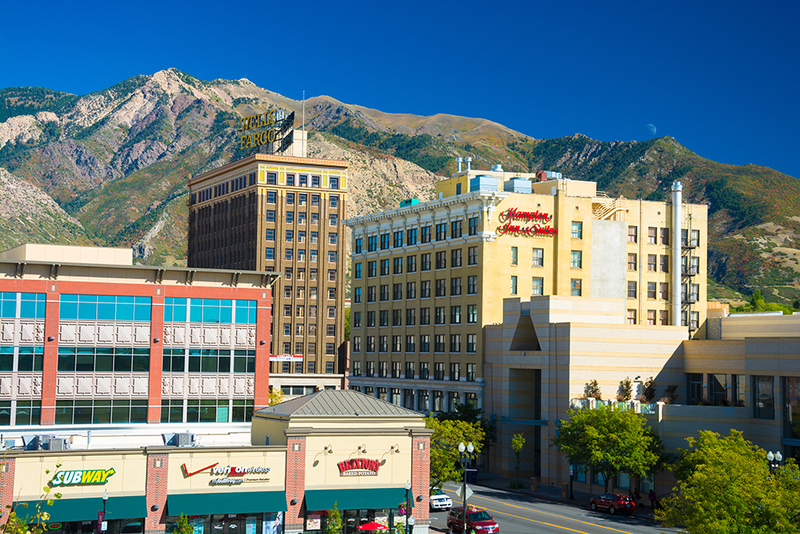 Provo has a population of 116,868 people, and this makes it the third-largest city in Utah. It is part of the second-largest metropolitan area in the state, the Provo-Orem Metropolitan area. In 2015, Forbes named this city as one of the ‘Best Small and Medium Sized Cities for Business and Careers.' Provo is very family-friendly, and it offers dozens of year-round events and festivals to keep the residents entertained. This city has a huge dining culture that plays a vital role in the economy. There are over 100 restaurants, two large shopping centers, galleries, and several large companies that all help support the local economy. In 2016, it was ranked as the number one fastest growing metro for job growth in the nation. There is an average of 222 sunny days in Provo each year, and the city has long, hot summers ranging from April until September with highs in the upper 80s. The winters are short and snowy with the average temperatures dipping to the mid-20s in December through February. 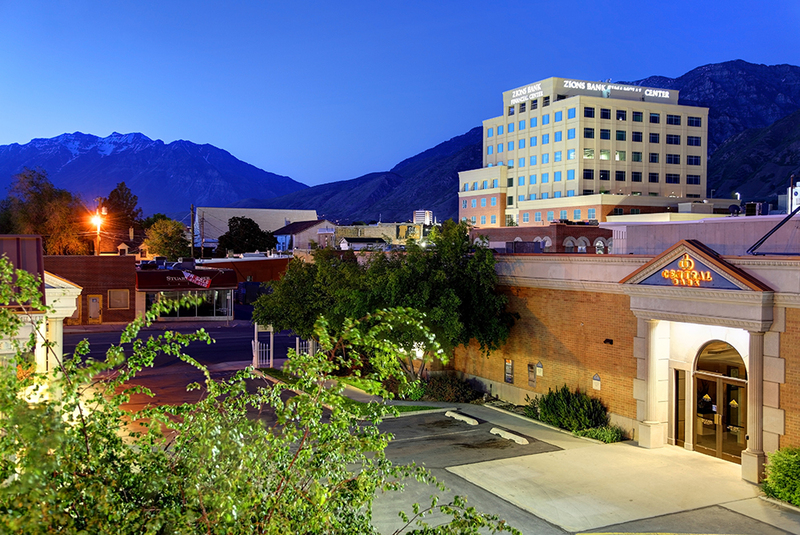 Provo has a broad range of cultural events and places to visit year-round. The Covey Center for the Arts is a huge performing arts center that shows ballets, musical performances,and plays. Additionally, Provo is home to the largest LDS Church's Missionary Training Center in the nation with 475 LDS members entering per week for training courses. Finally, there are dozens of festivals that go on year-round. This city is home to some of the best secondary education schools in the nation. Brigham Young University is located here, and it is the third-largest private university in the nation with almost 40,000 students. As more students have enrolled at BYU, Provo has enjoyed sustained growth due to an increase in jobs in industries such as the hospitality industry that cater to college students. The Rocky Mountain University of Health Professions is also based here. The biggest employer in Provo is Brigham Young University with over 5,000 employees. Utah Valley Regional Medical Center is the second-largest employer with 2,104 employees, and Vivint rounds of the top three largest employers with between 2,000 and 2,900 employees. The median home price in Provo is $255,853, and it had a growth of 6.7% in the past year. With a projected growth of 0.9% in the next year, Provo's home costs are lower than the Provo-Orem Metropolitan area as the median home prices there are $302,627. The price per square foot is higher because the Metro's square foot prices are $166, while Provo's are $178. According to the United States Census an estimated 3,051,217 people live in the state of Utah. The state has 82,169.62 mi² of land area, which gave it a population density of 37.13 per mi². Here is a list of cities, towns & Census Designated Places across the state, with their estimated population as of June 2016 & the 2010 United States Census. For Census Designated Places (CDP) where there was no population estimate available for 2016, the 2011-2015 American Community Survey 5-Year Estimates data was used. As of 2019 the conforming loan limit across the United States is set to $484,350, with a ceiling of 150% that amount in areas where median home values are higher. High local affordability makes the $484,350 ceiling apply across most of the state for single unit homes. Dual unit homes have a limit of $620,200, triple unit homes have a limit of $749,650 & quadruple unit homes have a limit of $931,600. People buying properties in the the Summit Park & Salt Lake City metro areas have higher conforming mortgage thresholds. Home buyers who are borrowing more than the above amounts will likely need to obtain a jumbo mortgage. Jumbo loans typically have a slightly higher rate of interest than conforming mortgages, though spreads vary based on credit market conditions. Several different types of home loans are available in the Beehive State. Fixed-rate loans are very common, and the terms include thirty, twenty, fifteen, and ten years. The longer the life of the mortgage, the lower the monthly payment will be, which is why the 30-year loan is the most popular. The downside of this, however, is that the APR is higher compared to shorter-term loans. The difference can be as large as a full percentage point. A few lenders in the Behive State offer interest-only loans, but usually only for periods of three years. These are mortgages where payments are applied only to interest for a period of time. The loan's principal isn't paid down, so the monthly payments are very low. The low monthly payments only lasts a few years, however. Typically, it's about three years. After this period, monthly payments spike because the loan's principal hasn't been reduced & the remainder of the loan must be paid off in a compressed period of time. For example, on a 3 year IO 30-year loan, the first 3 years are interest only payments, then the loan principal must be paid in full in the subsequent 27 years. When qualifying for a loan, a credit score of 720 or better can help secure a favorable loan. Some mortgage lenders in strong markets like Salt Lake City have approved borrowers with credit scores around 640. The best rates and deals will be obtained with a score above 740. There is a lot of competition among lenders, and this environment can create nice perks for borrowers. For example, some banks will offer special deals on closing costs for borrowers who qualify. The cost might be added to the mortgage or the bank will pay the closing costs but add a few basis points to the APR. USDA loans can help people with low incomes in rural parts of the state qualify for a subsidized low-interest loan. With the skyrocketing costs of real estate, more people may be turning to government-funded real estate financing programs. These programs typically have looser credit standards, a higher acceptance rate, and you may not need much of a down payment, or any at all. When you buy a house, you can't displace a current tenant. The home buyer must put at least $1,000 of their own money down. If you sell the property within two years of purchasing it, you'll get a $5,000 penalty. The house must be a single-family residence, a townhome, or half of a twin home to qualify. If you meet these requirements, it is generally very easy to apply for and obtain this money. However, it usually takes two to three weeks to receive the money after the closing process is complete. The Chenoa Fund is a more specialized grant program that is designed for people who have a 30-year FHA home loan. You have two options for down payment assistance with this program. You can choose Forgivable Financing or Repayable Financing for your grant money, and eligibility restrictions apply for both. If you have a disability, or if you have a family member who has a disability, the Home Choice program can help you purchase a home. Additionally, it gives first-time homebuyers financial counseling and assistance, and the mortgages typically have interest rates of 1% to 3%. You may get direct down payment funding or your closing costs paid with this program. You have to earn 80% or less of your area's median income and have proof of a disability in order to be considered eligible for this program. Utah has a high to very earthquake risk. Here are county-by-county risk profiles. Homeowner's insurance policies typically do not cover flooding. Most of the state of Utah is considered to have a very low flooding risk. The following counties have a moderate flooding risk: Summit & Washington. The risk of wildfires is considered moderate in the northwest part of the state. Fire damages from wildfires & other types of fires are typically covered in most homeowner's insurance policies. If you own expensive items you may want to keep an up-to-date household inventory list which lists specific valuables, such as fine art & jewelry. Utah has one of the lowest property tax rates in the country. In 2016 the average rate across the state was 0.65% while the national average was 1.24%. The 0.65% rate on the median home value of $300,245 leads to an annual assessment of $1,948. The Utah Exemption Act is also known as the Homestead Act, and it is designed to protect some of the home owner's equity in the event of a forced foreclosure or a bankruptcy. If your bankruptcy was due to something like unpaid medical bills or certain business debts, you could get $20,000 of protection for the head of household an $20,000 for a spouse. There are eligibility requirements you'll have to meet to get this protection. When it comes to Utah law, it is an equitable distribution state, and this means that any property will be divided fairly, but this doesn't necessarily mean equally. If both parties agree on who will get what portions of their property in a divorce, a judge will have to sign off on it. It depends on how long the marriage is, and parties ages and health, their income levels, and occupations. Long-term marriages are more likely to get a 50-50 split, and shorter marriages may be more unequally divided. Home loan products are recognized in Utah as either mortgage contracts or Deeds of trust. However, most lenders tend to use deeds of trust to govern home loans in Utah. The state of Utah is what is known as a non-recourse state when it comes to foreclosures. Most borrowers prefer this type of mortgage loan because the lender isn't allowed to sue them for additional funds if they default on their mortgage and the home sells for less than is still owed on the home. For example, if you purchase a car with a non-recourse loan and default, the lender is allowed to repossess and sell the car. The difference between a recourse and a non-recourse loan is whatever the lender sells the car for will satisfy your debt, no matter how much you owed when you defaulted. If you owed $7,000 on the car when you defaulted, and the lender sells the car for $4,000, they'd have to absorb the $3,000 loss with no additional cost to you. Utah is primarily a title theory state, and this means that the property's title will remain in a trust until the property is paid in full. Additionally, Utah is primarily a non-judicial foreclosure state. This means court action isn't required to foreclose on a property once the borrower defaults on the mortgage. The deed of trust typically has a power of sale clause that the borrower signs when they take out the mortgage, and it states the appointed trustee will sell the property to satisfy the mortgage in the event of a default. Only an attorney, bank, or title loan company officer can serve as the trustee and sell the property. Before foreclosure proceedings can begin, the lender has three months from the default date to file a Notice of Default with the corresponding county office. This notice of default must be published for a minimum of three corresponding weeks in a local newspaper or a general circulation in the corresponding county. The final notice of sale has to be published at least 30 days before the sale date. Every notice of default has certain information that it must contain to be considered valid. It has to have the time, date, and location of the sale, as well as a description of the defaulted property, the lender's intent to sell the property, and the deed of trust. The foreclosure auction itself must take place in a public setting between the normal business hours of 9 am and 5 pm, and this date must be clearly listed on the notice of default. At this time, the appointed trustee will auction the property off to the highest bidder. However, the actual auction may be postponed up to 45 days if the original borrower that defaulted provides written notice. Lenders are allowed to go to court in a judicial foreclosure to have a judge sign off on the final proceedings. The lender files a lis pendens and a complaint to the court to begin the proceedings. The lis pendens provides the public notice that the property is being foreclosed on. The rest of this process typically follows the same procedure as a non-judicial foreclosure, except the courts are involved. The home will be sold at public auction through the courts. Utah is one state that offers a post-sale right to redemption for judicial-type foreclosures. This law allows the borrower who defaulted to reclaim their home and property if they pay the defaulted amount in full, plus any costs associated with the foreclosure process. The court has the power to extend this period. 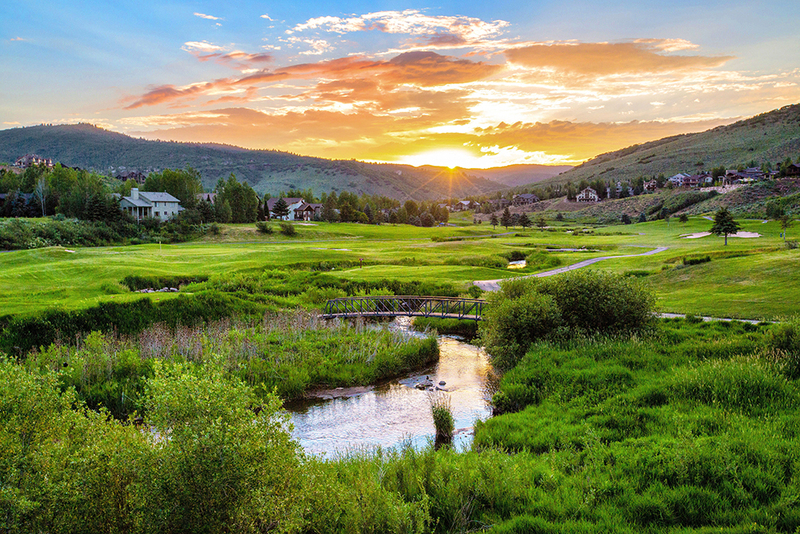 Check out the following resources to learn more about the Utah real estate market.